The Very Latest On THE EXORCIST Coming To Television Is Within! 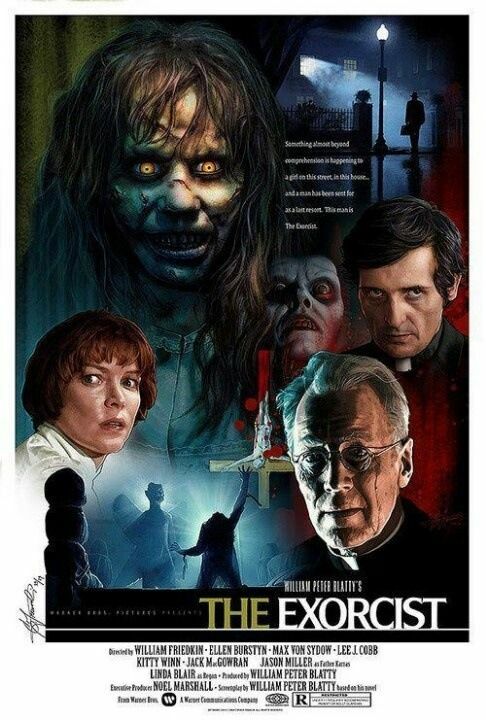 THE EXORCIST is one of those special films that was so revolutionary and good that it became the measuring stick for all possession movies after its release. With all of the remakes and adaptations going on these days, it was only a matter of time before the same was done to this classic story. Years ago rumors swirled around this idea but now it looks as if it is finally going to happen. We know that Fox has ordered a pilot episode that is inspired by William Peter Blatty’s 1971 novel, "The Exorcist." The pilot will be a "modern reinvention" of the novel. It is being described as "a propulsive, serialized psychological thriller following two very different men tackling one family’s case of horrifying demonic possession, and confronting the face of true evil." We recently learned that Brianne Howey, will be portraying the series regular character of Charlotte, who is a former ballet dancer that has become depressed and antisocial since suffering a terrible accident. Charlotte has become so closed off and guarded that her mother begins to suspect that she may be under the influence of a demon, a suggestion that Charlotte herself would just laugh off. Today we bring fresh news in the form of a new cast member. We have learned that Hannah Kasulka has joined THE EXORCIST television series and will play Casey Rance, Charlotte's sister. Kasulka's character Casey will be concerned about the well-being of her sister, who doesn’t like to leave her room after suffering an intense accident. Rupert Wyatt will be directing the pilot episode. Wyatt is known for helming RISE OF THE PLANET OF THE APES. This TV version is written by Jeremy Slater. It will be interesting to see how this new television series will play out. We will continue to bring you more on THE EXORCIST coming to television as it unfolds.